With Meals Tailored For You. FYTR adj. /fit·ter/: The state of being stronger, healthier, and happier today than you were yesterday. FYTR partners with restaurants to alter existing menu items into macronutrient balanced meals. We ensure portion management by calculating your optimal caloric needs based on your physical stats and health goals. Our system also identifies ingredients that may conflict with your food-intolerance sensitivity and dietary considerations and provides appropriate substitution. Whether you are eating to maintain a healthy lifestyle, or adhering to a strict diet due to health considerations, we know it's not always easy knowing where and what to eat. 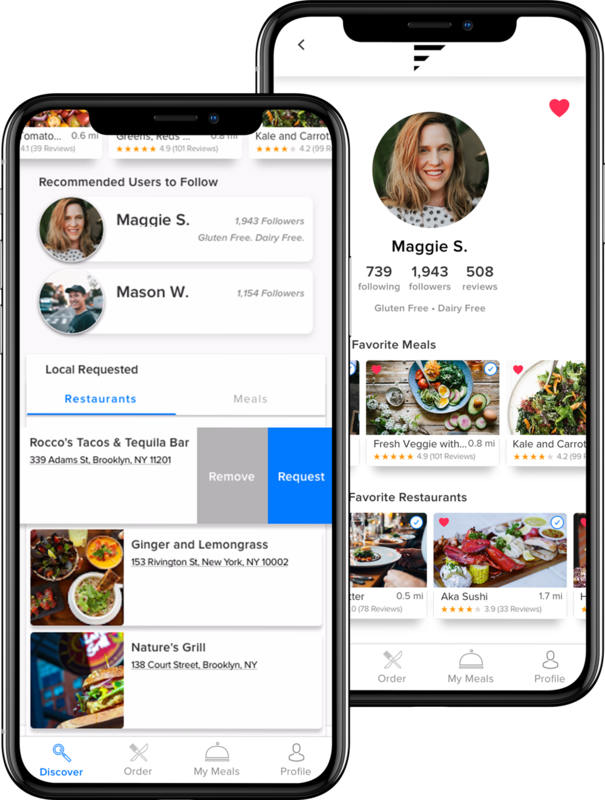 With FYTR, follow users to see recommendations and reviews from a community who shares your similar needs. It is our goal to continuously grow our list of restaurants and meals, but if you don’t see your favorites, there’s no need to worry. Simply make a request or upvote one submitted by the community. We’ll let you know when it’s available for you to order. The first thing you'll do when you sign up with FYTR is fill out a short survey. This gives us the information we need to calculate your optimal nutritional needs. 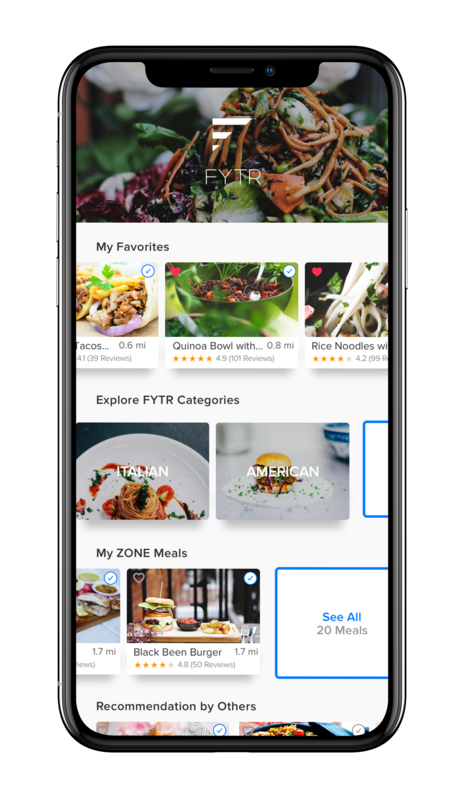 Our simple to use platform displays all your recommended restaurants and meals, so you can easily search for what you're craving. 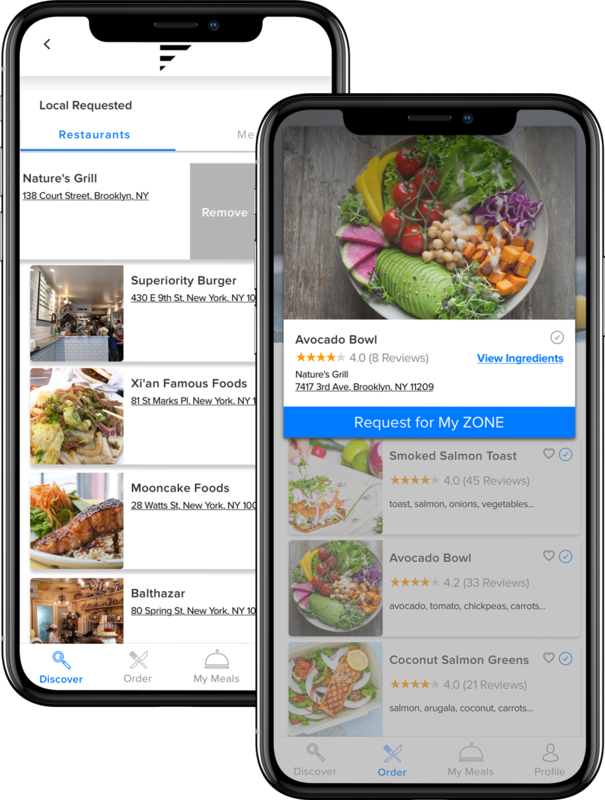 Easily search by location, restaurant, cuisine or specific menu item. Made with ♥ in Brooklyn. © FYTR, 2019 All rights reserved.